David Bowie - Same (Space Oddity). 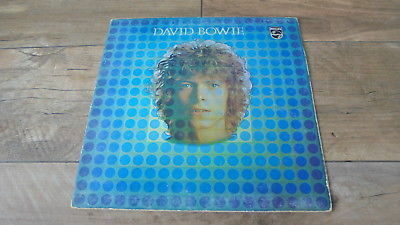 Original UK LP Issued in 1969 by Philips Records (SBL.7912). First Pressing, //2 //2 Matrix Numbers !! Sleeve is in VG Condition (has some shelf wear and a pen mark on the back in the top left corner, see pics). Vinyl is in VG++ Condition.